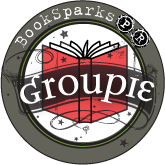 Today, we have three authors here to tell you their "Chick Lit Soup for the Soul" stories and share some e-books with readers anywhere in the world! As Henry David Thoreau said, “Make the most of your regrets; never smother your sorrow, but tend and cherish it till it comes to have a separate and integral interest. To regret deeply is to live afresh.” Something in his words resonates with my own beliefs. My road has been bumpy, filled with potholes, and detours that left me wondering about life. I now understand that these moments when I was not in control were crucial to nurturing a dream of sharing my stories with the world. 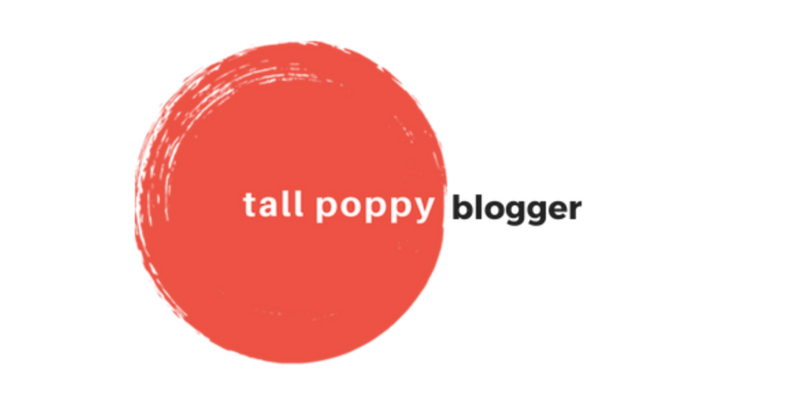 It was not until I experienced those prickly situations that I found my voice and was able to peer in on the world from multiple vantages. This has been the year to reconnect with childhood friends, the kind of friends that knew how to play, get dirty, cherish nature, and laugh through the good times and the bad. This has been the year when everything has fallen into place, thus letting me know that my journey was necessary and purposeful. When I embrace the prickly moments that scrape at my memory, I squeeze them tight, and I am rejuvenated with creativity and strength to move forward. Henry David Thoreau also said, “Many men go fishing all of their lives without knowing that it is not fish they are after.” With hope, love, courage, and a little stubbornness, my heart feels full because I believe I have finally hooked happiness. 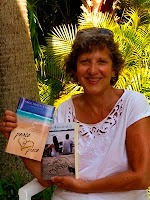 Linda Bradley's inspiration comes from her favorite authors and life itself. 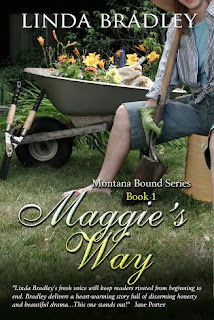 Maggie’s Way is her debut novel, in her Montana Bound Series. It is about a woman, Maggie, who is rattled by a seven year-old girl, Chloe, who delivers unexpected surprises wrapped in humor, love, and raw truth. Linda is currently working on Maggie’s Fork in the Road and Maggie’s Montana. Linda has an Associates Degree in Interior Design and a Master’s Degree in Reading and Language Arts with undergraduate work in Elementary Education and Fine Arts. 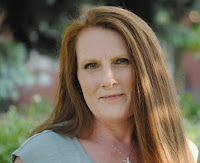 She has two grown sons and lives with her husband and rescue dog in Royal Oak, Michigan.You can follow her at her website, Facebook, and Twitter. 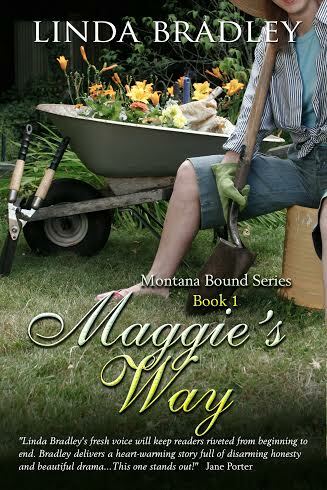 Linda is sharing TWO e-books of Maggie's Way. Losing my hair during chemotherapy treatments was one of the many challenges of having cancer. I wept daily as tufts of my hair circled the drain in the shower. Being seen without hair seemed unfathomable—until the day I had this conversation with my husband, Jim. Me to Jim: Will my bald head bother you if I sit around with it uncovered when we're home? Jim: Does my bald head bother you? Me: Okay, here I come with my bald head. Any wonder why I love, love, love this guy? Always top of Carol Fragale Brill's gratitude list is her husband Jim, their marriage, and living in Cape May. Writing fiction lets her creativity come out to play. Carol's fiction has received recognition from Poets and Writers and was a reader's favorite for The Best of Philadelphia Stories. She is the author of two novels. 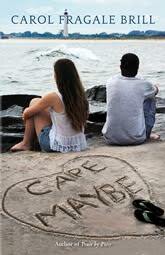 Cape Maybe is about the secrets that haunt mothers and daughters and the power of hard-earned hope. Peace by Piece (reviewed here) is about love in all its many forms, especially between a reserved single woman and a lonely little girl. She earned an MFA in Creative Writing from Fairleigh Dickinson University. Carol is also a reviewer for New York Journal of Books. 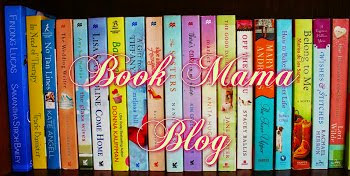 Visit Carol at her blog, Facebook, and Twitter. Carol is sharing e-books of both Cape Maybe and Peace by Piece (one of each). US winners have a print option available, as well. You never know when you will affect someone and many times we do so without even knowing it. Most recently my family went on vacation and we had a friend stay at our home and watch our dog. When we got back from vacation the house was clean, the dog was happy and she had baked us chocolate chip cookies to thank us for letting her stay in our home. It really made me stop and pause. I didn’t know what was going on in her everyday life or how she felt. I thought she was doing me a favor and in reality she felt I was doing her a favor. These acts of gratitude are hidden in our everyday lives without us even knowing it. It could be paying for the coffee of the person behind you, holding a door open for someone or simply saying, ‘thank you’. We don’t know how a person’s day, week, month or year is going and sometimes we leave impactful moments on other people without realizing it and it can be these moments that leave the most lasting impression. T.S. Krupa was born in New Haven, Connecticut. Raised in a Polish household with a blended American culture, she is fluent in Polish. She graduated with her bachelor’s degree from Franklin Pierce University,where she also played field hockey. 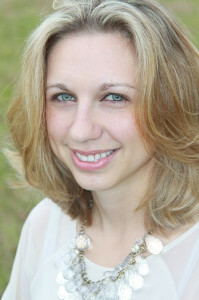 She earned her Master’s from Texas Tech University and recently graduated with her Doctor of Education from North Carolina State University. She lives in North Carolina with her husband and her dog. In 2014, T.S. Krupa published her award-winning debut novel Safe & Sound, which follows the yearlong journey of love, loss, friendship, and conquering the unexpected. 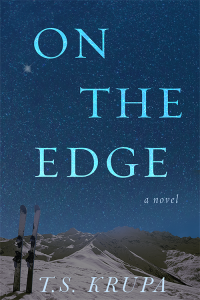 On The Edge is her second novel and is about a chance encounter that leads to a passionate and unexpected romance that could change everything. Visit T.S. at her website, Facebook, and Twitter. T.S. 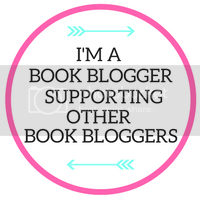 is sharing e-books of both Safe and Sound and On the Edge (one of each). US winners have a print option available, as well. 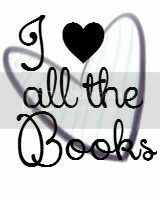 Thanks to everyone for sharing their heartwarming stories and books with our readers! Open worldwide (US readers have paperback options when available). 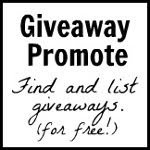 Giveaway ends July 14th at midnight EST. My husband had two days off this past weekend and we got out of the house and did things. We took a couple long country drives and I kept quiet even when his driving scared me. I spent the day with my Aunt celebrating her birthday! Wonderful bites of news and blurbs. It is always amazing to me how we can take random things and create wonderful stories based on them. 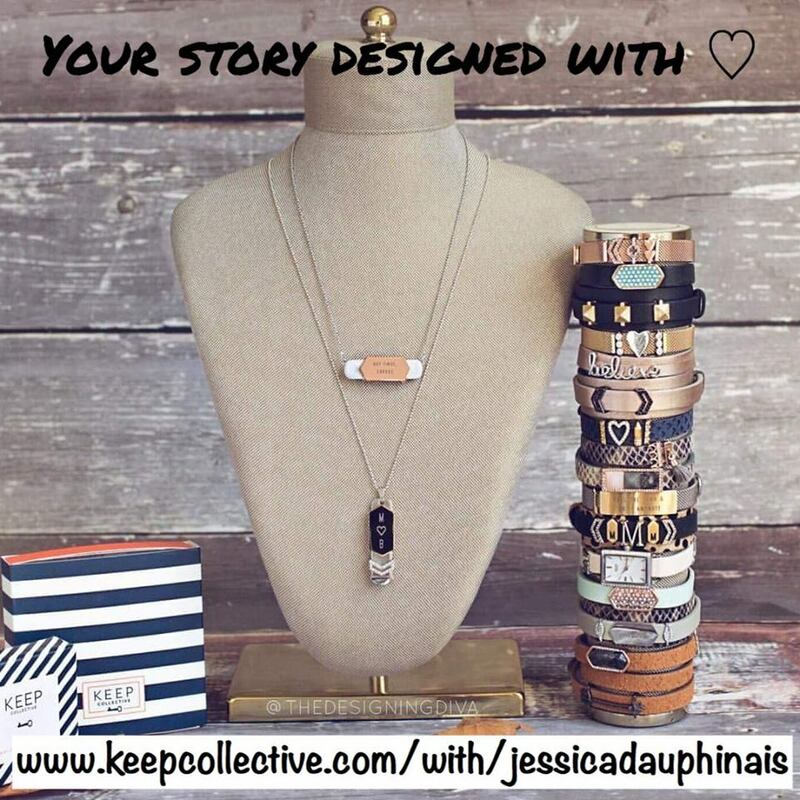 Keep on, ladies! I had a water softening system installed in my house yesterday. I spent a day with my youngest son, daughter and son in law, and 2 of my grandkids. My loved ones were really there for me when I needed them. Read a couple goods books and won 10in contests! Ah, regrets I've had a few. Maggie's Way sounds like a good read and Thoreau is a favorite. Great quotes! Finally getting a new dishwasher!!! Yay!! I was able to get some new clothes. YAY!! !